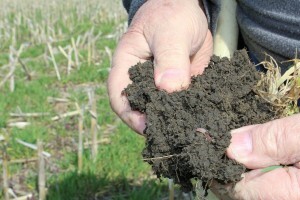 Fairfield County farmer Dave Brandt believes in the benefits of cover crops, and the proof is in his soil. 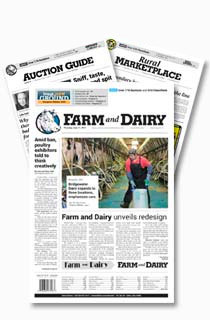 CARROLL, Ohio — The fields that belong to central Ohio farmer David Brandt are easy to spot. He grows the same crops as most grain farmers: corn, soybeans and some wheat. But when those crops are harvested, his fields look very different. 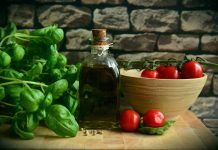 During the off-season -— fall through early spring — his fields are still growing with plants like sunflowers and radishes, mixed with various kinds of grasses that form a layer of vegetation over his soil. It’s called cover cropping — and the concept is nothing new. In fact, with all of today’s concerns with water quality and nutrient loss, cover crops are arguably more popular now than ever before. Brandt, 69, has been using cover crops in his no-till operation since 1978, about five years after he went 100 percent no-till. He needed a way to break up the soil compaction and, not wanting to go back to tillage, he decided that maybe he could use the root action of cover crops to help break up his soils. “It seemed to loosen the soil; it eliminated the compaction we were having from the surface,” he said. His way of farming was criticized at first, he said, and some still don’t understand it. 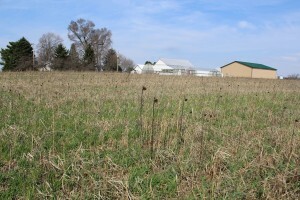 A field of mixed cover crop species. In truth, Brandt’s fields do resemble a bit of a meadow, a place where the soil is so covered in growth that it’s hard to see. But you can see the soil of other fields in the county — where the ground has been tilled and worked clean — blowing when the wind blows and washing with the rain. The covered look is part of Brandt’s goal: to mimic what nature does and provide a variety of cover crop species, with different heights and root structures, which brings a diversity of nutrients into the soil. 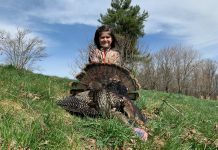 “What we’re trying to do is do like Mother Nature does in a woodlot,” he said. 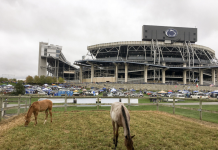 In some cases, he’s reduced purchased fertilizer and chemicals by as much as 85 percent. And some of his land hasn’t seen fungicide, herbicide, insecticide nor purchased fertilizers in five years. Earthworms abound in Dave Brandt’s soil. 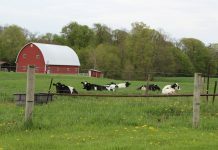 Meanwhile, his soil compaction has gone down, and the organic matter has gone up — so much so that he can take a shovelful of earth from most anywhere on his 1,100-acre farm, and turn up a good, loamy soil full of earthworms. Brandt and his wife, Kendra, and their family have been farming this way for so long that they don’t qualify for today’s cost-share programs that pay farmers to plant cover crops. Instead, he said he started planting them because he thought it was the right thing to do. And because he’s been successful, he’s made a career out of promoting cover crops, and is engaged in various research projects on his farm. 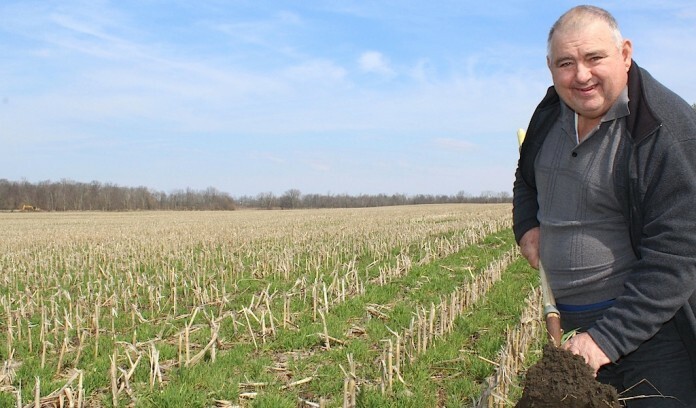 The industry knows him as the “cover crop guru,” and in March he was named a Master Farmer by Ohio Farmer magazine. 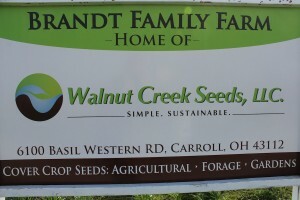 His family operates Walnut Creek Seeds, which sells cover crop seeds to other farmers and educates them about the benefits. Opinions vary widely about cover crops — especially among farmers who may have never tried them, or tried them and had a bad experience. Through his own farm, Brandt tries to show farmers how covers can work. Brandt’s own introduction to cover crops came at a time of major transition — not only for his farm, but his personal life, as well. He grew up in agriculture, working on his grandfather’s farm, and in high school, he milked cows and managed a farrow-to-finish swine operation. After high school, he served as a Marine in Vietnam from 1968-69, an experience that earned him the Purple Heart. When he returned from the Marines, tragedy struck when his father was killed in a tractor accident. Without a will, the family was forced to sell the farm, and David and his wife had to start over. In 1971, with no tillage equipment to speak of, he and his wife took a chance on no-till, and later cover crops, as a way of grain farming without all the equipment. From 1981-1984, David worked for the USDA’s Natural Resources Conservation Service as an area agronomist. He still works with NRCS researchers on new cover crop tests and public outreach. 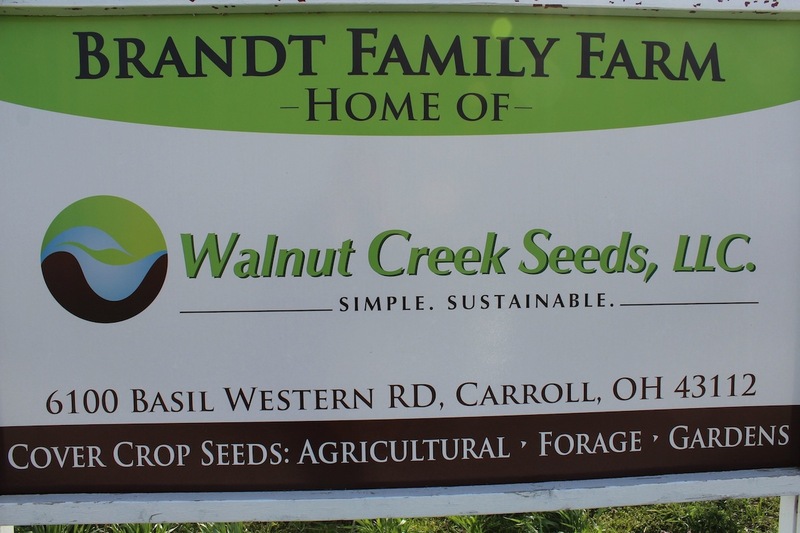 The Brandt family, which includes son, Jay, and his wife, Ann, started their current Fairfield County farm in 1985, and launched their cover crop business about four years ago. The farm and cover crop business is currently conducting research with blended cover crops (multiple species), to track which species bring which nutrients to the surface. This helps Brandt and other seed suppliers give farmers “a prescription” of the cover crops that will work best on their farm — to match each farm and each farming practice. The farm is also engaged in research to see if soybeans planted between corn rows can supply at least half the nitrogen the corn needs. And Brandt is hoping to eventually test whether corn grown on a cover-crop operation — which has shown to produce higher-nutrient grains — might also lead to higher-nutrient meat in livestock that consume the higher-nutrient grains. During the busy season, Brandt will have 100 varieties of cover crop seeds on hand. He’s in the process of building a seed cleaning shed, and hopes to become licensed to clean seeds for the organic industry. What excites him most about cover crops is getting people to think differently about farming. “I just want to help people and teach them that there’s different ways of getting to the end result of producing corn, beans and wheat, and we don’t have to rely (as much) on our boughten fertilizer and boughten chemicals to get there,” he said.